The Rahr family has started making beer since 1847 when William and his wife Nathalie Rahr have emigrated from Germany going to Manitowoc, Wisconsin. During those times, there is an increase of the demand in beer production. Furthermore, since William is in a long line of a German brewer, he started to put up his own Eagle Brewery. It was the first largest brewery company in Wisconsin. Due to the success of the Eagle Brewery Company, William established new business which is a malt house. It supplied all the needs of his brewery company and at the same time the needs of other brewery companies. His famous brand brings him to ship his malt barley even at the very far St. Louis, a German pioneer enterprising brewer. In 1880, while William had his inspection tour in his brewery, he fell in a brew kettle that resulted to burn. Sad to say, he never recovered. Because of this tragic accident that happened to their father, his sons decided to change the name of the company to William Rahr’s Sons Co. to honor their beloved father. William’s son continued to guide the company and now William Rahr was one of the founder of the Eagle Brewery. William Rahr is the great-great grandson of William Rahr or Frederick William “Fritz” Rahr Jr., pull to brew together with his wife Erin to open the Rahr &Sons Co.
Rahr and & Sons Brewing Company is one of the most famous breweries at Fort Worth, Texas USA nowadays and started it to established year 2004 at the warehouse of Fort Worth. Their brew company was supported by their friends and family. It started only for 9 beers being introduced, wherein the eight beers have been bottled. Fritz Rahr was a former railroad company worker who studied brewing in Siebel Institute, Germany. He also graduated from Texas Christian University at Fort Worth. At first, the brewery company is headed by Jason Coutney. He is the year 2002 Great American Beer Festival Small Brew and Pub Brew master. He had run this company and he created some original recipes and installed brewery in success. However, Courtney needs to leave and James Hudec replaced his place to the Rahr & Sons Co. As they about to start this business, beers have been self- distributed and have only two kinds of beer. These are the Blonde Lager and Rahr’s Red lager amber. On December 2004, the third beer was released and it is named Ugly Pug Black Lager. On July 2005, this brand name appeared in a bottle. As the success of the company continuously grew, additional seasonal beers were produced. But there are times that the company undergoes financial pressures wherein they need the help of some brewers and distributors. In 2006, they started to release the Oktoberfest celebration that makes them more popular in the industry. Today, the current products of Rahr & Sons Co. are Blonde Lager, Rahr’s Red, Iron Thistle, Ugly Pug, Storm cloud IPA, Bucking Bock, Summer Time Wheat, Gravel road, Oktoberfest Fall Celebration Lager and Winter Warmer. 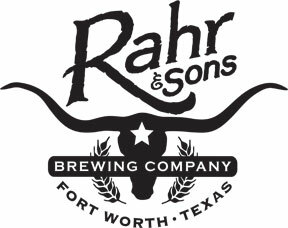 Rahr & Sons Co. continuously received awards and recognition when it comes to brewery. No wonder this company might be best brewery company in the future.